Luca Giordano, St Michael (Der Heilige Michael), c. 1633, oil on canvas, 198 x 147 cm. St Michael (c. 1633), a powerful work by Luca Giordano, one of the masters of Italian Baroque, is coming to the Netherlands in February. De Nieuwe Kerk Amsterdam will be exhibiting this impressive painting, on loan from the Gemäldegalerie in Berlin, for the eighth edition of its Masterpiece series. 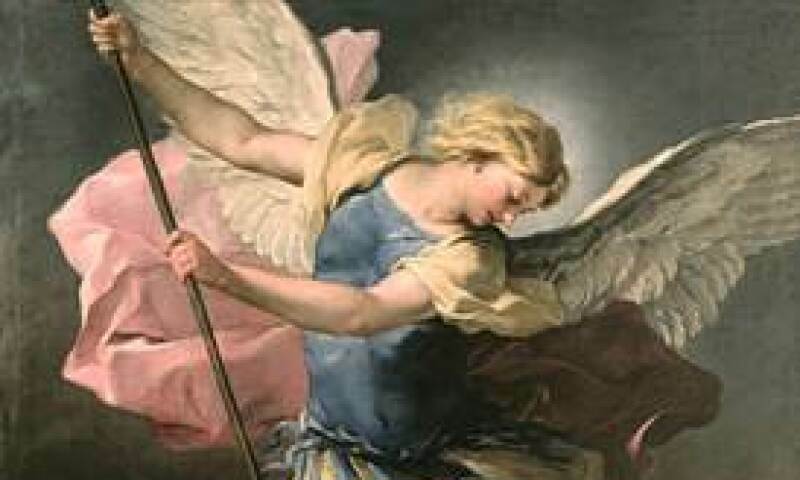 With this work, featuring the archangel Michael, the series returns to classical religious episode. Paintings by Giordano are rarely exhibited in the Netherlands, making this an exceptional event. The work is breathtaking not only for its sheer size, beauty and powerful energy, but also for its symbolism, which is typical of the Counter-Reformation: the triumphant Roman Catholic Church waging battle against the forces of Protestantism.